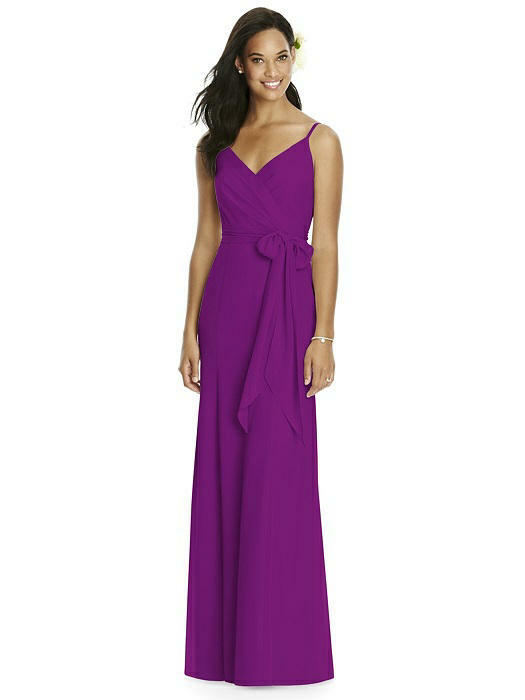 Full length matte chiffon dress with draped wrap bodice and v-neckline. Low v-back. Trumpet skirt.